Thanksgiving is over, and if you’re like me you still have a fridge full of turkey and trimmings. Day after day, you schlep the Tupperware out and whip up the same plate of Thanksgiving leftovers. Well, no more! I am bringing you my five favorite Pins of Thanksgiving leftover recipes to help step up your leftover game this year. First of all, you know I love my Grilled Cheese, so right away this recipe is a winner for me. Secondly, the sweet and savory combo is to die for! 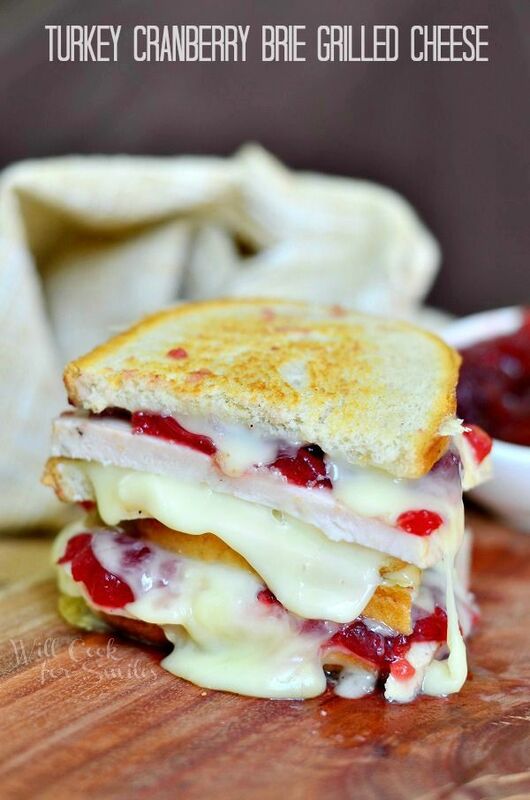 You can find Turkey Cranberry Brie Grilled Cheese here and Pin it for yourself here. I am about two seconds from picking up a premade turkey tomorrow just to try this ASAP. Not only is this recipe super simple, it’s sure to be a crowd pleaser. Plus three words guys – Cranberry Dipping Sauce. I die. 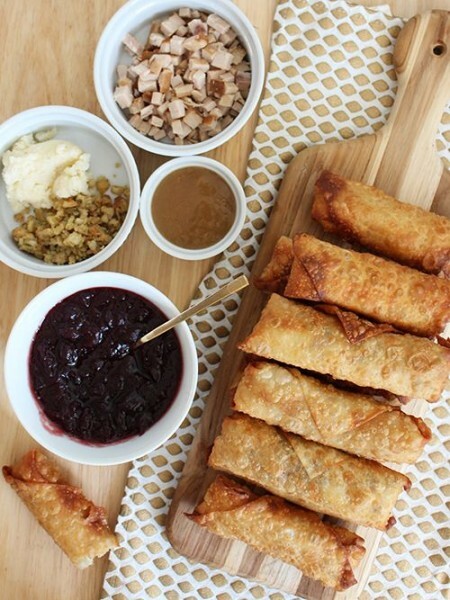 You can find Thanksgiving Egg Rolls here and Pin it for yourself here. Breakfast? Lunch? Dinner? Doesn’t matter. This dish is going to make your belly super-happy. It features one of my favorites, sweet potatoes, and guys…it’s healthy. No, really, it’s healthy! 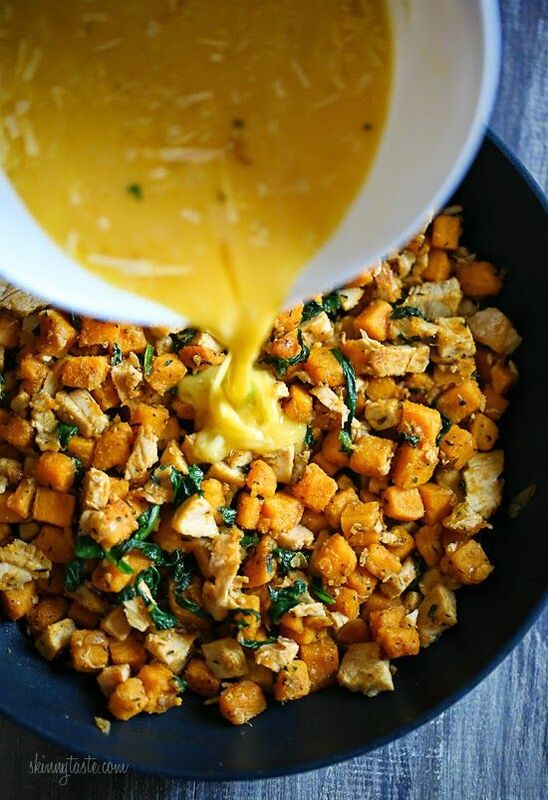 You can find Leftover Turkey and Sweet Potato Frittata here and Pin it for yourself here. Rachel knocks this leftover out of the park with an amazing homemade crust to start, finishing off her turkey pizza with a warm gravy drizzle. Pardon me for drooling. 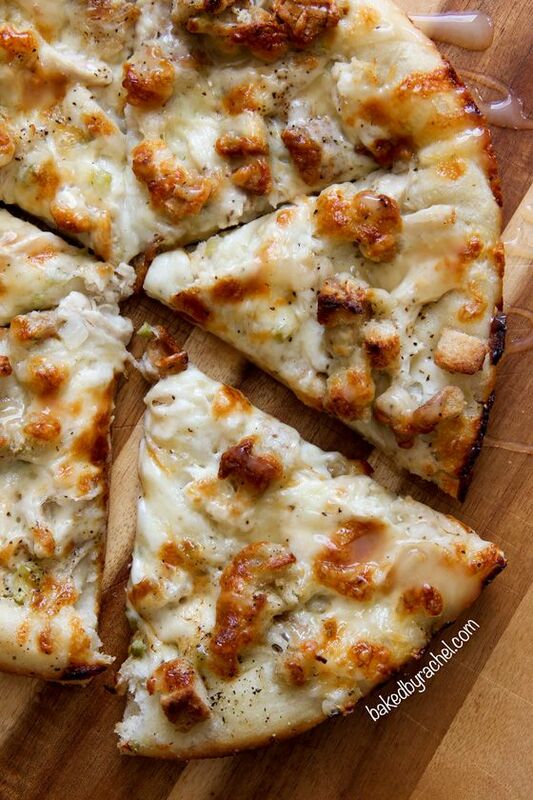 You can find Leftover Thanksgiving Turkey Pizza here and Pin it for yourself here. I have a confession – Mexican food is my favorite. I could eat it every single day. When I saw this recipe, my heart skipped a beat. This twist on Thanksgiving with some serious “Mexican flair,” as Marla puts it, really speaks to me. 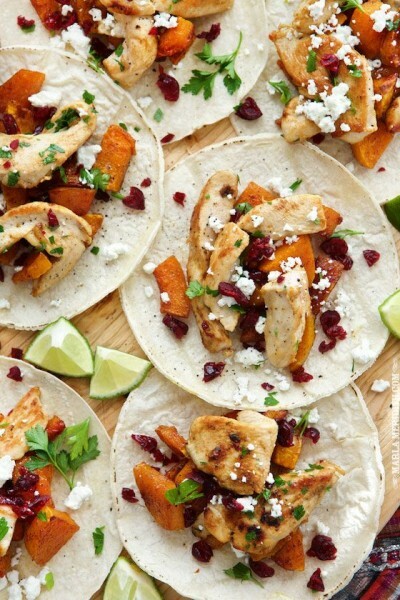 You can find Roasted Butternut Squash & Turkey Tacos here and Pin it for yourself here. So, what are you waiting for? Throw on some sweats and take your leftovers to the next level with one of these great recipes!